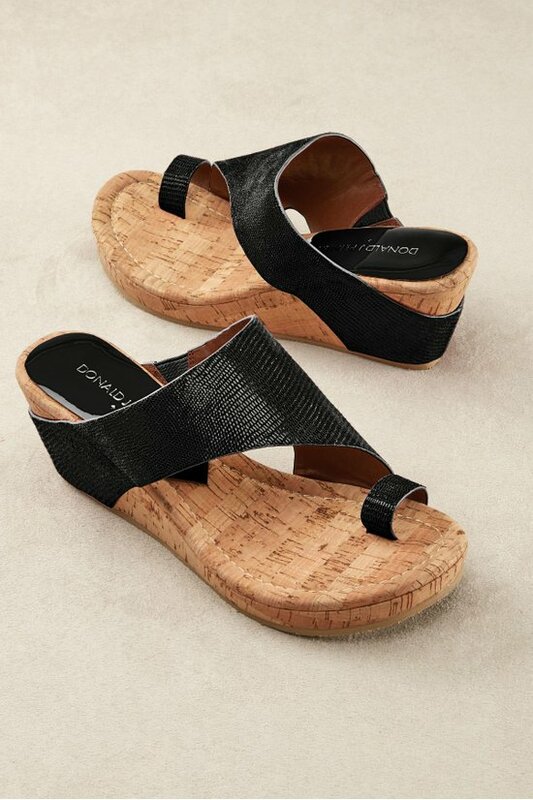 Donald Pliner sandals deliver everyday designer ease with a wide, asymmetric leather band that sweeps over feet from a trend-right cork wedge to a matching toe ring. The walkable cork wedge, cool leather lining, padded cork footbed and rubber sole assure long-term comfort. Choose desirable embossed solids or glistening metallics for the look of the moment. 2-1/2" heel with 1" platform.